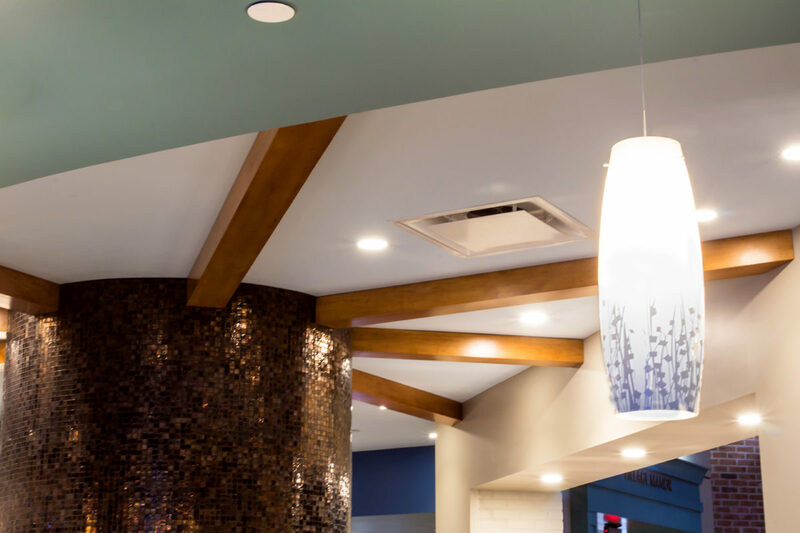 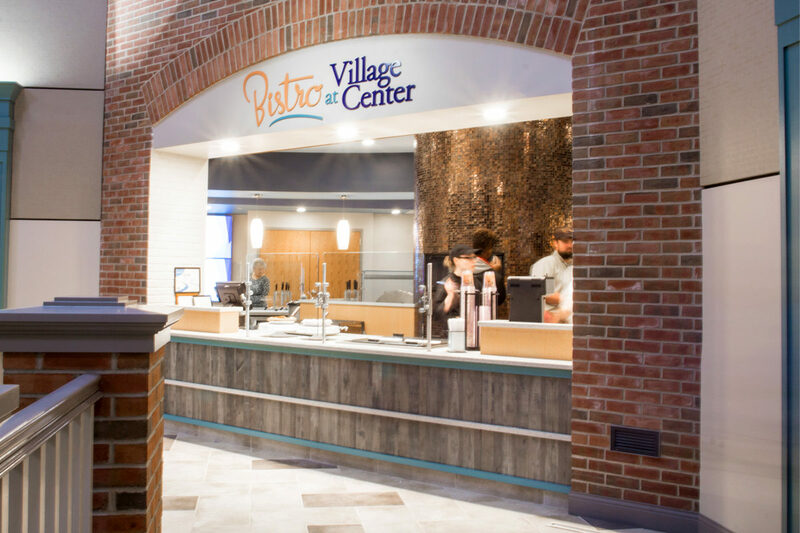 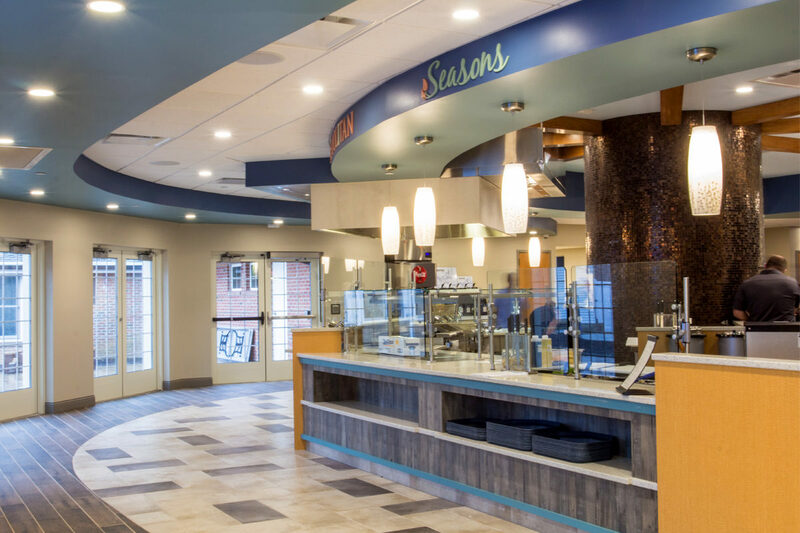 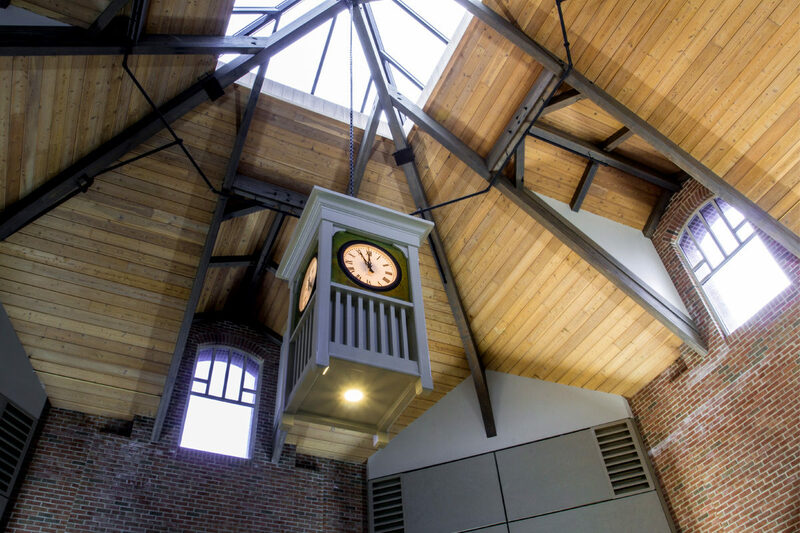 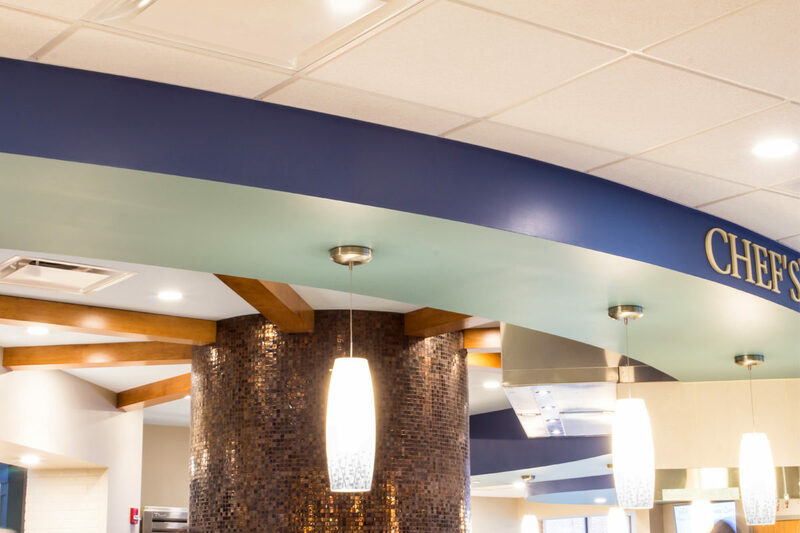 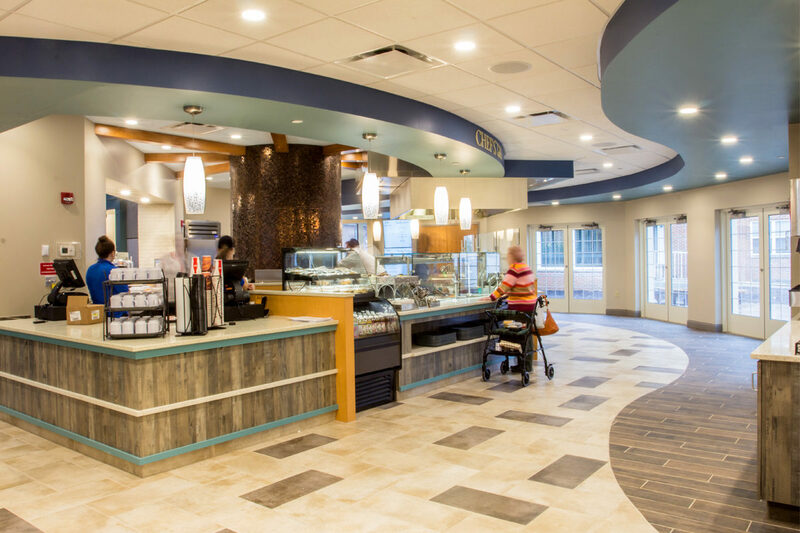 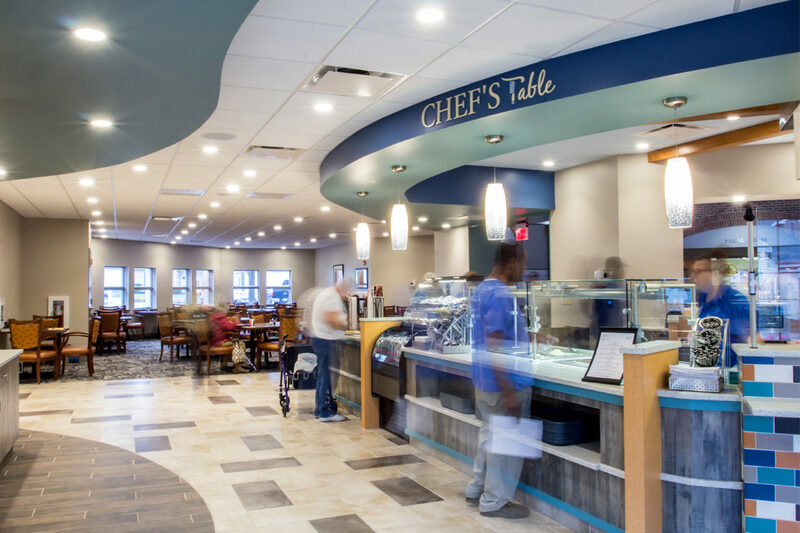 Tasked with updating the colors and finishes of the Village Center Bistro, making it a more inviting central hub for the independent living residents to use and enjoy; we created an open environment with more venues to take a meal, meet a friend, or play games. 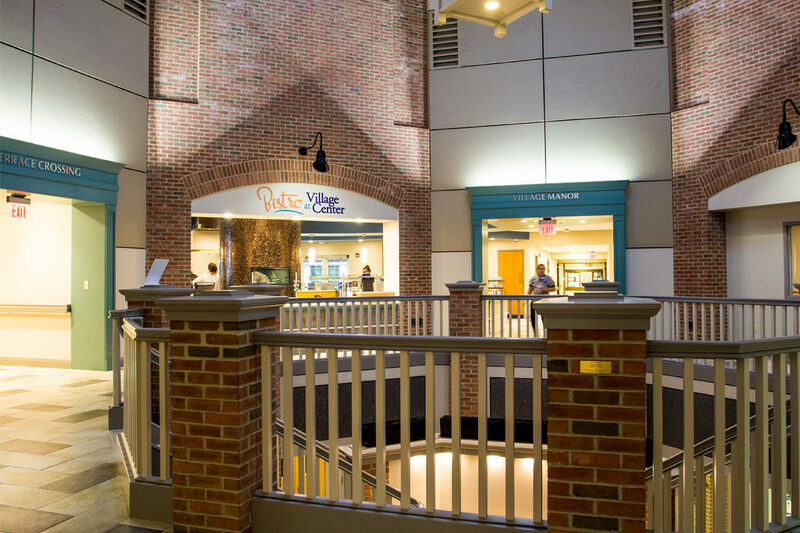 The space was hidden but is now bright and open. 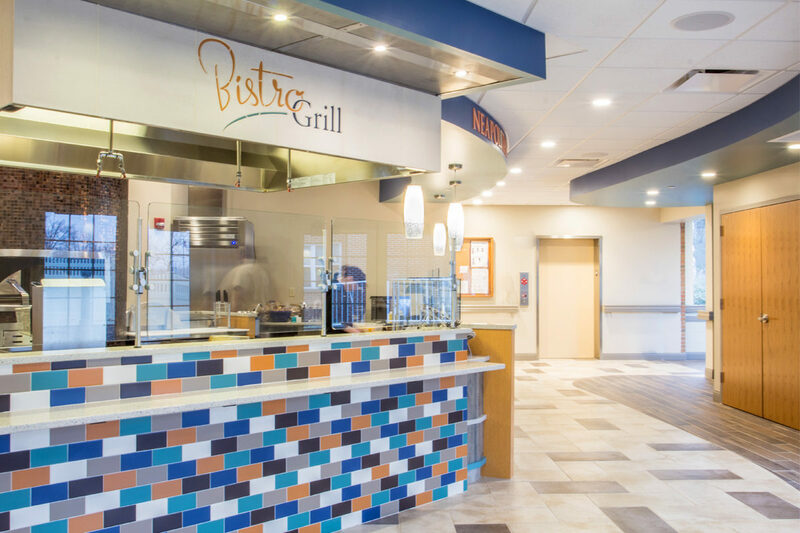 Expanded kitchens with increased food options and seating areas and options, making it a hub for a variety of activities.